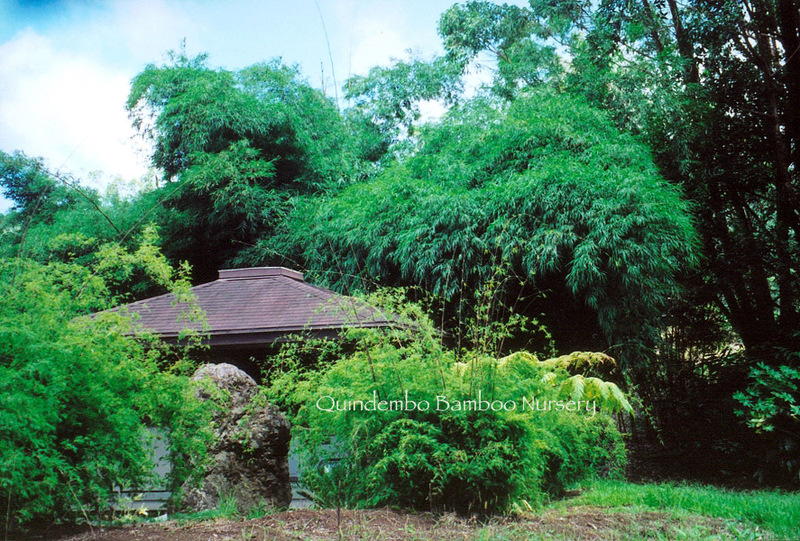 We think of this one as the monkey pod of bamboos. Graceful and sturdy, with a large arching canopy, this makes a great statement in the landscape and provides terrific shade. To about 60 feet tall, with a wing-span of about 30 feet, this is not a plant for small gardens, but if you have the space, it’s a beauty. We imported this species in 1992 from the Vietnam, Thailand , Mynamar area, and have been offering it continually since then. Used for rural construction projects in its countries of origin. The younger canes are used for weaving and the young shoots are edible.